It snowed. It snowed enough to take pictures if you got up early enough. Zulily is holding a Star Wars event for the next few days. The have books, clothes for children and adults, home stuff and some toys. There’s not a lot of toys but there are toy related books. 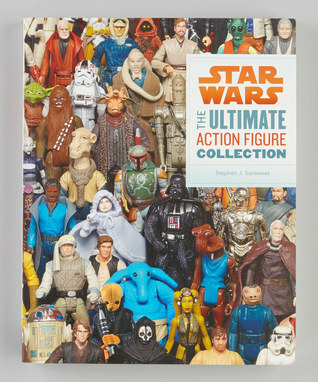 Star Wars: The Ultimate Action Figure Collection Paperback is one I’ve been wanting to adding to my shelf for a while. Retail is $40 they have it for $24.99. The book is by Stephen J. Sansweet. 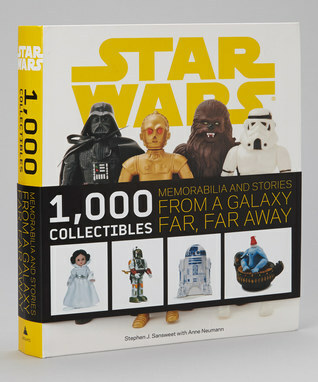 I have his earlier Star Wars collectables books. They very informative and had tons of pictures and detail. 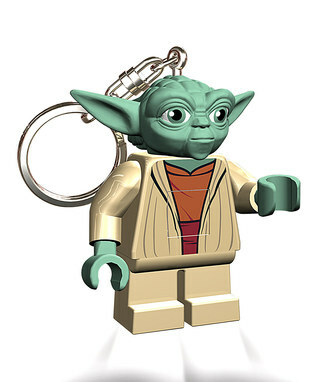 LEGO Key chain lights for $9.99. They also have children’s clothes and bow ties and cuff link sets for adults. 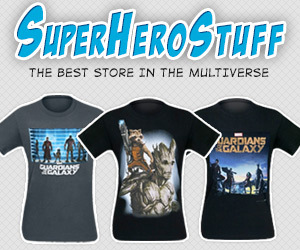 I get store credit if you use the links, create an account and place an order. 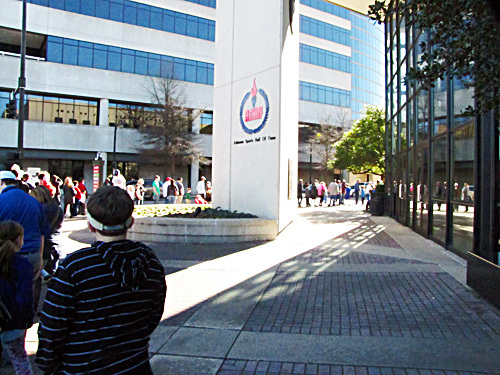 Brickfair Alabama: The waiting is the hardest part. I finally have time for a Brickfaire Alabama recap. We got there a little later than we had anticipated and we surprised by the huge line. The show started at 11am. I thought if we got there around noon, the early crowd would be gone. We left later than i wanted and noon turned to one. Then after a stop for lunch, one turned to 1:30 before we made to the convention center. The line outside snaked from the entrance across the front of the building to the corner and then up the side of the street. The line kept growing behind us. But the line moved swiftly. Every few minutes they would let another fifty people into the exhibit hall. They did come around asking if anyone had presale tickets. So next year I’ll get presale tickets. There wasn’t one last year and we got there around lunch time. 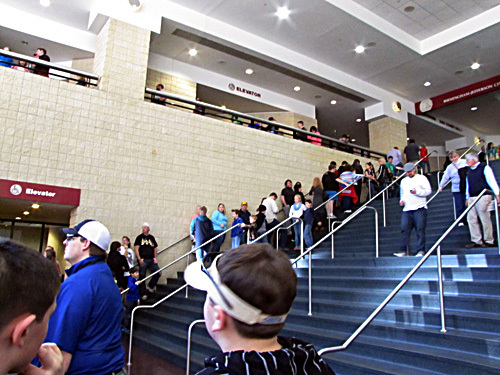 Once inside the building the line moved from the door to the right wall the back to the left and up the stairs. Then it flowed from above the stairs around the corner and down a hallway to the doors. They let more people inside and we almost made it but got stop at the door. At least now we were first inline. A friendly Brickfair worker chatted with us. asked how long we’d been there at that point it was about forty minutes. We just had to wait a little bit long for a few people to clear out and we could enter the fun. Once inside to the immediate left was the play and stay area. To the right a massive brick built Crane and just a just pass that our first stop, EclipseGrafx. They had some awesome custom bricks. I had a list of what I needed and stuck to it. I got some food bricks and zombie heads, although they didn’t have one of the heads I was hunting. Part of the Mini-Con display. The Mini-Con was a model of the convention itself and individual exhibitors built tiny version of their builds. After shopping it was train time. My son loved looking at the trains. We watched them for a little while then moved to mini-con. The Mini-Con is a brick model of the convention hall. 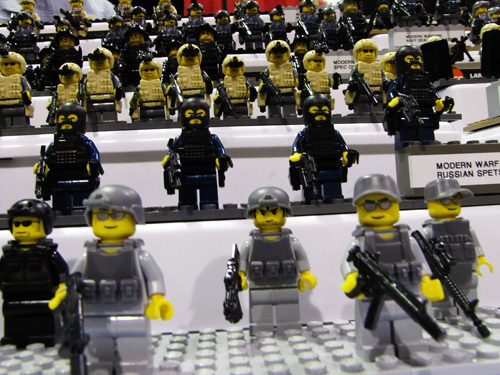 BrickFair provided the basic structure to the model and then vendors add minimises of their displays. We turn from that table ans saw Thomas the train. After that we played a couple of the crane games. Didn’t win anything but didn’t spend too much either. They didn’t have the build a mini fig vending machine that were there last year. 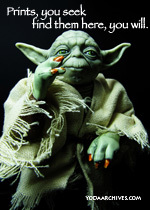 I wanted to build a random fig for the blog. I tried to build a random fig at a booth by just blindly grabbing parts. It just didn’t feel the same so I passed. My son however built his own minig fig. He was very proud of it. We took a chance at winning some bricks. There was a jar of bricks. who ever guessed closest to the number of bricks would win the box. I made a guess. My son want to drop the slip in the box, so I lifted him up. Then he want to fill out a paper. so brickfair got post note scribble in their box. We visited the Brick Warriors booth and got a full bag of fantasy pieces. My son was helping by filling my cup with round viking shields. We looked at minifig and models for a while. The swung around for another pass. 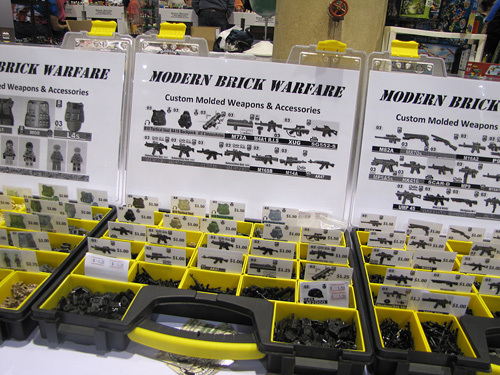 We found the Modern Brick Warfare booth. 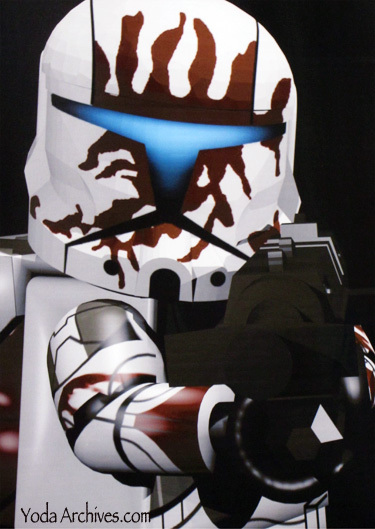 They had some great weapons and minifigs. I was too busy visiting to remember to buy some riot shields. 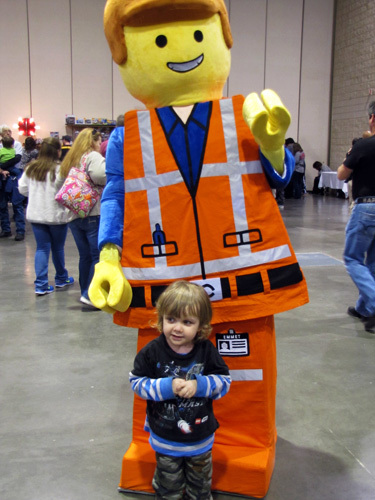 We even saw a celebrity Emmet was at Brickfair! We looked at the train once more. It was time to admit we were tired and ready to head home. My son was asleep by the time we hit I-65. There will be three more Brickfair events later this year. It’s been a busy week. 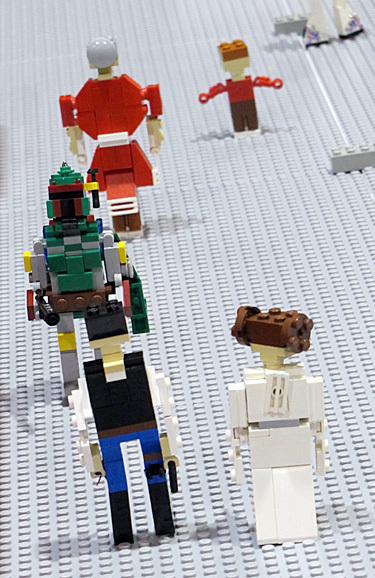 I’m still writing the Brickfair review post. I have even had time out fit my mini with all the new accessories I got at the show. My fun little toy photography blog turns four today. Everybody is here to celebrate. I’ve had a lot of fun working on this project. Thanks for all the support. I have finished processing the few pictures I took at BrickFair and will have a post about the event soemtime this week. in the meantime. We’re holding a print sale. 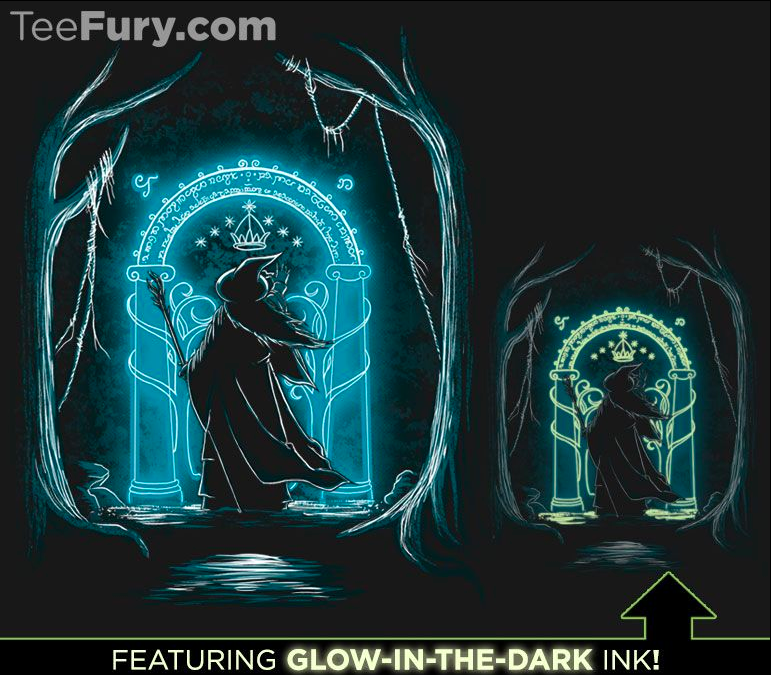 Use the code “4years” to get 20% off on all prints in the online shop till the 21st. Brickfaire Alabama continues today 11am-4pm at the Birmingham Convention Center (East Hall) We attended yesterday and had a great time. There was a wait to get in but it was worth the wait. Next year I’ll get presale tickets. I’ll try to process pictures and write a full post tomorrow. Tickets $10 three and under free. Parking $8 but metered street parking is free on weekends. 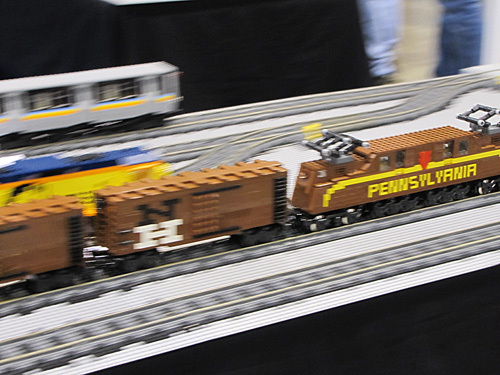 Brickfair Alabama runs January 17-18 at the Birmingham Convention Center in Birmingham, Alabama. 11am-4pm. $10 admission. If you are a LEGO fan and nearby be sure to visit. 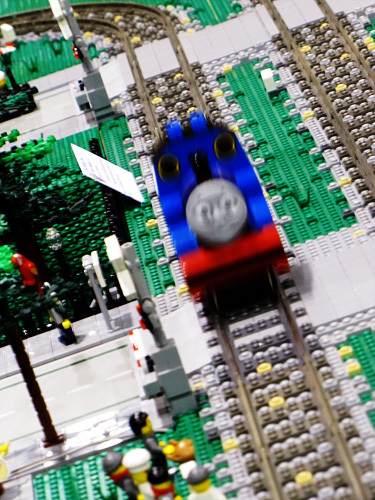 There will be three more Brickfair events later this year. 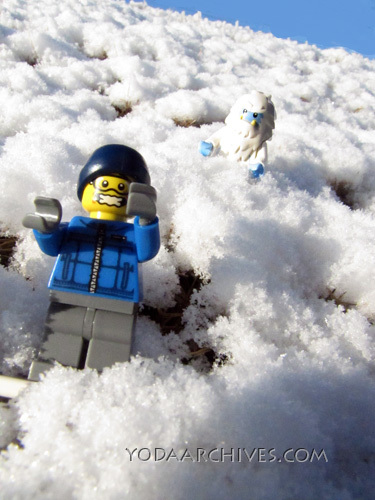 Check out this new comic by a young LEGO fan. Mr Awesomepants is a slushie drinking superhero that wears radioactive pants. Mr Awesome pants is made using photography and some graphics program. 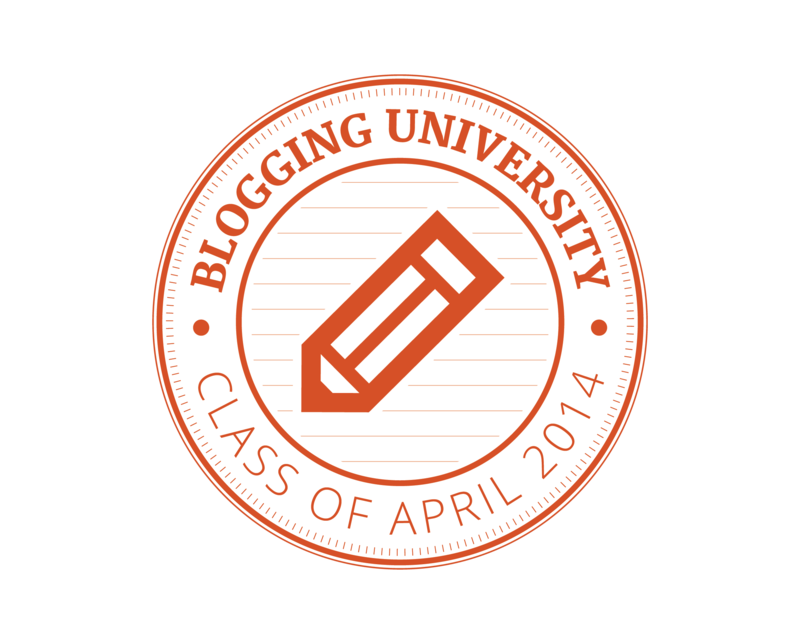 Encourage this young writer by visiting his blog, Adventures of Mr Awesomepants. 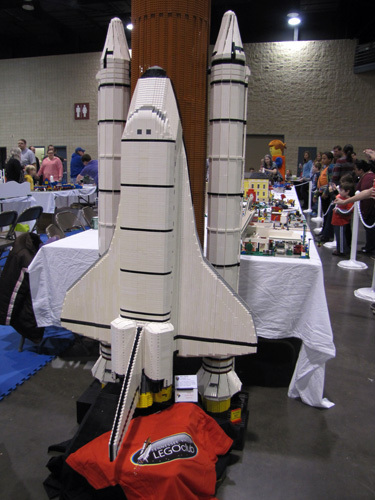 Brickfaire Alabama is January 17&18 11am-4pm at the Birmingham Convention Center (East Hall) Come and see LEGO builds. They will have games and contests. Plus a vendor area with LEGO resellers and customize brick sellers. 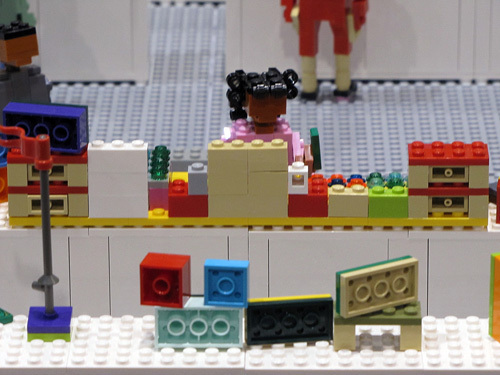 Brick Fair will host a Play area where attendees can just free build. 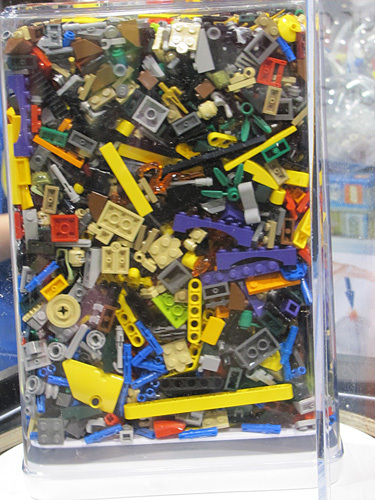 A Crane game filled with LEGO Bricks. 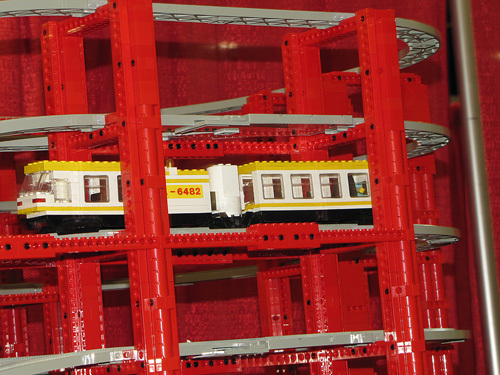 LEGO models, displays and winding trains sprawled out over 58,000 square feet. I attended last year and had a great time. There was so many things to see and do you didn’t know where to start. 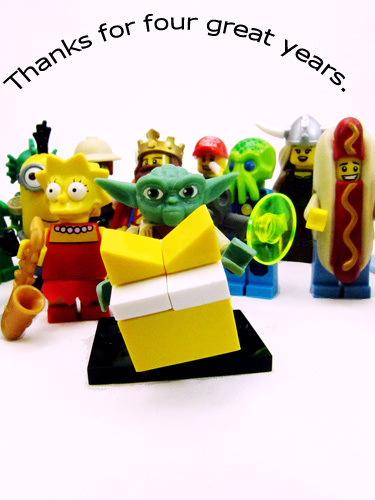 There were dozens of s LEGO sold in sets or by the brick. 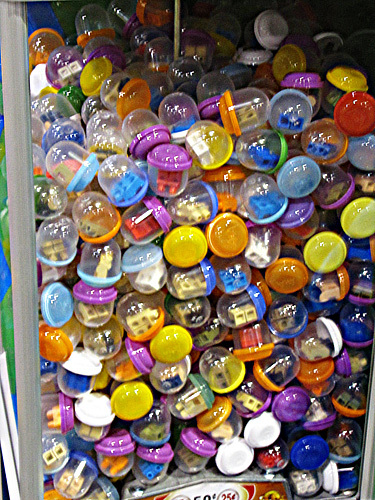 Many vendors were selling loose minifigs either form the collectible series or from opened sets. There was also LEGO related media the Brickshow and Brick Journal were both in attendance. Again this year there will be custom vendors that mold new part or take official LEGO parts and repaint them. 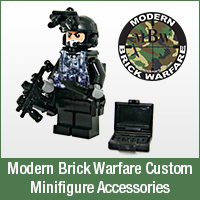 Some of these are Clone Army Customs, BrickWarriors, Modern Brick Warfare, and EclipseGrafx. 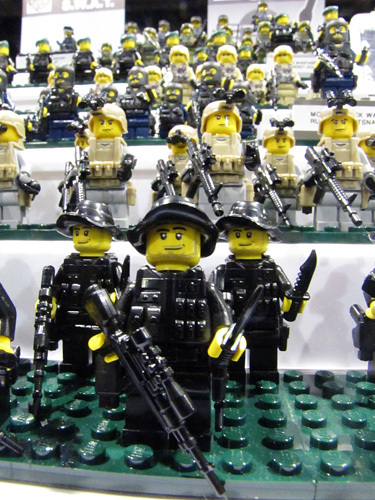 Some of the LEGO resellers include Classic Plastic bricks, Atlanta Brick Company, and we like it bricks and studs. This one of the parts vending machines. There was a group of them called Build a Girl. Each machine had a body part one, a head, one a torso, and one legs. 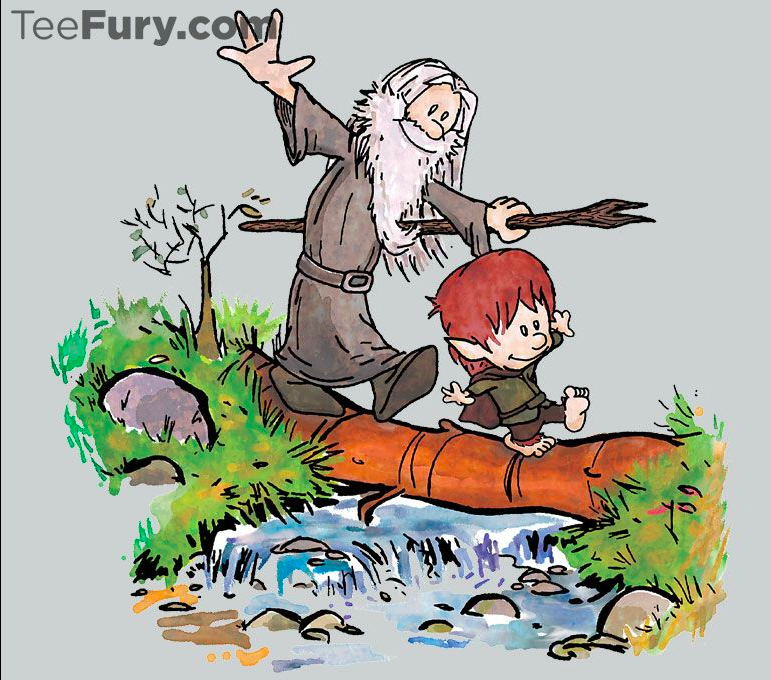 Onece you visited them all you had a randomly made minifig. There were also machine that had just bricks by kind or building function. These are some nice options to get a bit of the randomness fun.